Never doubt a Scorpio’s sincerity. They always speak from the heart. 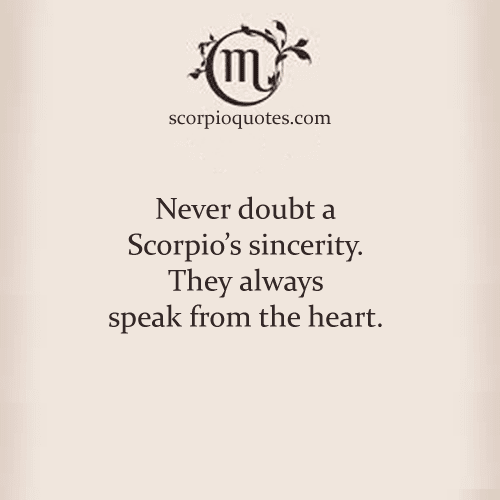 Quote: Never doubt a Scorpio’s sincerity. They always speak from the heart.